Read to know why shorting stocks can be very dangerous if you do not own the stocks in your Demat Trading Account. I have done it myself. I mean shorting stocks without having them in my Demat account, leaving them overnight and have faced problems. Well things have changed for the better but not sure how many brokers do not allow that to happen. 1. A trader shorts shares of XYZ company thinking that it will go down. 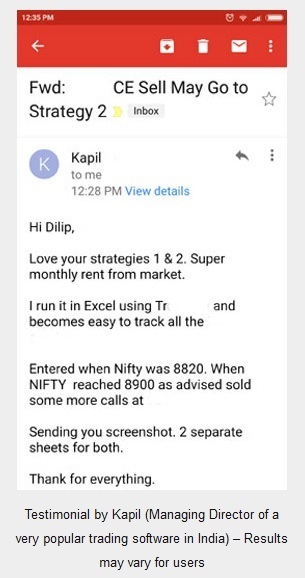 He does not own them in his trading demat account – just shorts them as a trade. 2. This trade is not done as MARGIN INTRADAY SQUARE-OFF (MIS), but as a normal trade which can be left unclosed overnight. NOTE: This is a very important information. When I did this mistake in 2007-08, a lot of brokers allowed shares to be sold without in their clients demat account and NOT on a MARGIN INTRADAY SQUARE-OFF (MIS), but CASH N CARRY (CNC) or NRML a delivery based product or a product that a trader can carry forward overnight. Today in the year 2017, things have changed. 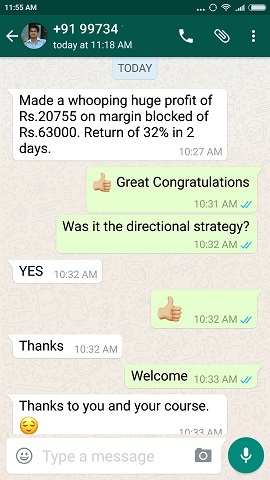 A lot of brokers do not allow shorting of stocks if not there in their clients demat account, in CNC or NRML mode, but this is allowed only in the MARGIN INTRADAY SQUARE-OFF (MIS) mode. This means even if the trader forgets to close the position, the MIS system will close the position by 3.15 to 3.20 pm to make sure this position is not carried forward the next day. 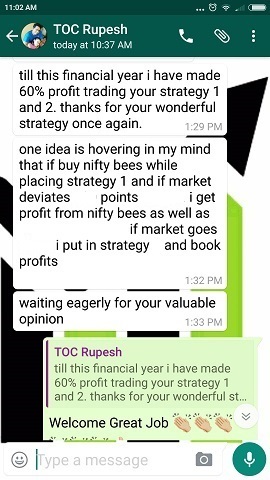 This is a good move to save traders from high risk trades. MARGIN INTRADAY SQUARE-OFF (MIS) is NOT a delivery based trading. It is normal cash to cash trading in a single session, so no stocks are involved. 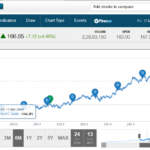 For example Mr. A sells stock of XYZ company at 50 spot price at 10 am, and buys it back at 48.60 at 2 pm – there is no delivery required to be given by Mr. A for the stock as the trade was finished the same day. In fact if Mr. A sells that stock even if he has the stocks in his demat account and buys it back the same day, the stocks will not go out from his account as delivery is not required. 3. The trader does not buy it back as the stock went up and the broker too does not close the stock then there is a problem. The problem is that Mr. A had shorted the stock without owing them and it has to be delivered to the trader who bought it from Mr. A. But the problem is Mr. A does not have the stocks in his demat account. Here is the problem. From where the market exchange will bring the shares to be delivered to the trader who bought them? Answer is Auction the next day. 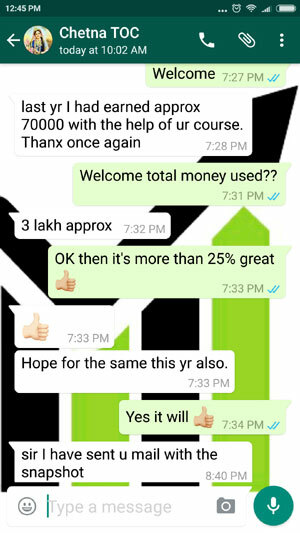 Let me thank you first for providing such knowledge and caution involved in trading. Your compound interest magic was amazing .If people can go in such a simple way why to be panic.